I have a new book out, co-authored with my long-term collaborator and close friend, Mark Oxbrow. The book is called Tolkien: The Secret History of The Hobbit and The Lord of the Rings. I am thrilled to have released this book and it is the culmination of a life-long obsession; J. R. R. Tolkien and the universe he created, Middle-Earth – an obsession that Mark Oxbrow shares with me. I was first introduced to Tolkien aged just 12 and between the ages of 12 and 18 I read and re-read just about every word he had written, as well as absorbing every word written about him. I spent many years chasing down stories of Tolkien and investigating the hidden corners of Worcestershire. I uncovered all the locations that had made their mark on Tolkien and entered into his fiction, because quite simply, the Vale of Evesham had become The Shire, the famous home of the Hobbits in both The Hobbit, and The Lord of the Rings. I have always wanted to tell some of these stories, so with the release of The Hobbit movie upon us, Mark Oxbrow and myself decided now was probably a good time to write this book. 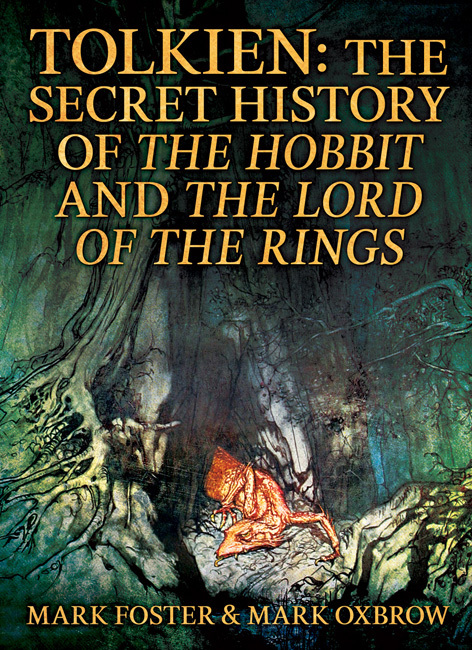 Tolkien: The Secret History of The Hobbit and The Lord of the Rings is really only part one of a series of books that we plan to release. There will be more secrets to come, so stay tuned!